This post is sponsored Smile Brilliant. The opinions and content are my own. I only work with brands I truly love, thank you for your support. 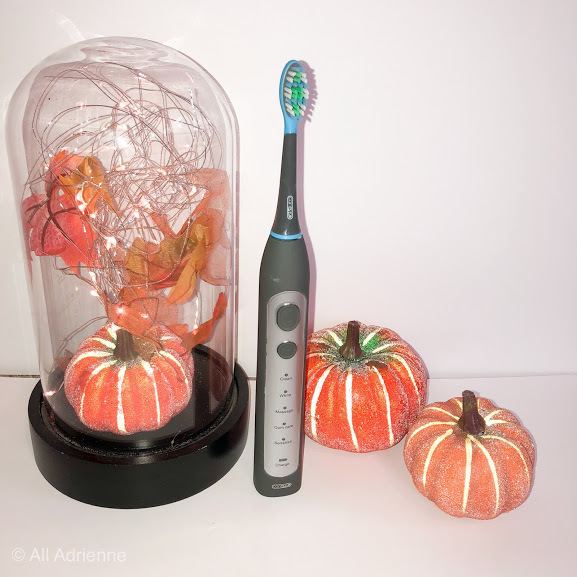 I was over the moon when Smile Brilliant reached out to me to give me the opportunity to try out and review the Smile Brilliant cariPro Ultrasonic Electric Toothbrush. I am beyond excited to share it with you. I hate to admit that I haven't used an electric toothbrush in years and the one I had previously used was not high end or professional. I just used typical drug store manual toothbrushes for a few minutes each day. I wish I would have switched sooner. The replaceable toothbrush heads are reasonably priced. Since using the cariPro Ultrasonic Electric toothbrush my teeth have never felt cleaner. It took me a few uses to get use to an electric toothbrush and the vibrations since I have sensitive teeth. The toothbrush also has an interval timer. Every 30 seconds it stops for a second for you to move to a different part of your mouth and turns off after 2 minutes. Now there is no second guessing "Is two minutes up?" I love that the cariPro Ultrasonic stays charged for up to 30 days. With two kids who like unplugging cords and not plugging them back in, this is important to me that I don't have to worry if my toothbrush will be charged when I go to use it. My teeth are looking whiter!!!! I wish I would have taken before pictures so I could really show the difference. I am a bug coffee drinker and we all know what that does to our teeth. As an electric toothbrush newbie I learned the hard way (quite a few times) to wait to turn on the toothbrush until it is in my mouth. My bathroom mirror has been cleaned more times than I like to admit because I got toothpaste all over it. My shirt also had to be changed once for the same reason. Lessons learned!! I have some exciting news for YOU!!! 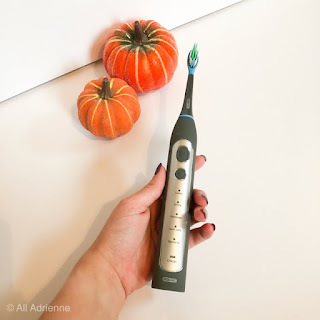 Do you currently use an manual or electric toothbrush?